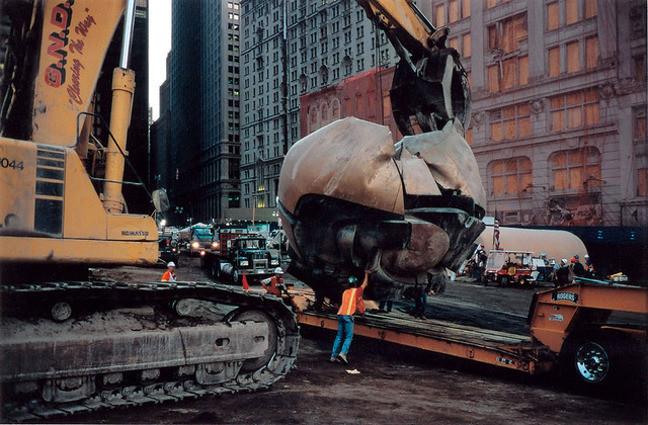 Image courtesy of Joel Meyerowitz . Why Color? Skyscrapers, Fifth Avenue, steam rising from manhole covers, beauty salons, billboards, diners… It is 1963; a group of four young women stand outside a store. They are putting make up on, either looking into the camera or coyly averting their gaze, and appear satisfied. Their clothes are brilliantly colored, their pumps white, their backcombed hair immaculate. What would this picture be without color?It would almost certainly be impossible to discern the intense contrasts, the nuances, and the tiny details that make the image, such as how their hairpins glitter. In black-and-white, this picture would probably lose a good deal of its charm, and might even appear mundane. New York, 1965: A man carrying a poodle or a couple locking lips outside a cinema in busy Times Square. The use of black-and-white strengthens the graphic structure of how the subject is presented, transforming the photograph into an image. Time and again, the New York photographer Joel Meyerowitz manages to fish surprising and sometimes peculiar fleeting moments from the stream of everyday happenings. His precise use of color enables him to bring their very individual vividness and pictorial intensity to the fore. His gaze is steered by chance and by his eye for the extraordinary in the everyday. He leads us through the streets, cities, and urban landscapes of America. 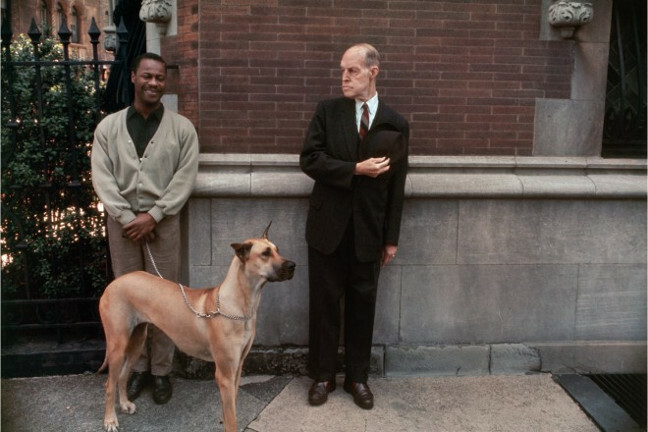 Starting in 1962 Meyerowitz began experimenting with using color photography first and added black-and-white photography to his work just shortly afterwards. He uses color photography’s special qualities to enhance specific parts of the image with vibrant, colorful nuances. Yet Meyerowitz views color as more than simply a means of expression: It lends shape to the world around him, helping him to understand and connect with that world in all its possible shades. He nevertheless makes deliberate use of black and white in order to highlight contrasts between elements of the image, be they artistic or graphic. Photography was born under an overcast sky; for a long time, the dictum of artistic photography and photojournalism remained staunchly black-and-white. The first workable diapositive film came onto the market as early as 1935, and yet, even into the 1980s, color photography remained confined to the world of advertising, unable to shed its vulgar, amateur, and commercial image. Today, color photography has its undisputed place in the history of art. 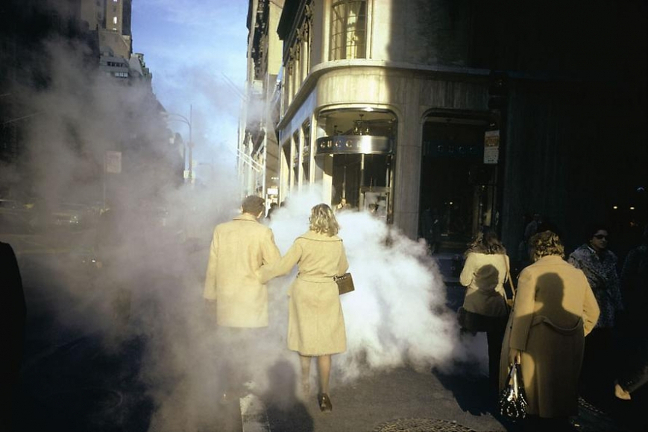 With his work spanning more than five decades, Joel Meyerowitz has not only made a core contribution to this paradigmatic shift: He has also left a visible impact on many younger generations. Alongside Stephen Shore and William Eggleston, Joel Meyerowitz was quick to recognize the unmistakable power of color and its unique pictorial quality. He was trained in classical painting and designed graphics for advertisements before his first meeting with Robert Frank in 1962 left him with a Pentax camera in his hand. From then on, he never stopped taking photographs. Equipped with money earned from an advertising campaign Meyerowitz bought himself a Volvo in 1966 and for the next twelve months drove across the whole of Europe. During that year abroad he shot over 600 rolls of film almost equally divided between color and black and white as he traveled through England, France, Germany, Italy, Yugoslavia, Greece, Hungary, Morocco, and what is striking is that within a few years after his return he began working exclusively in color. This was not just a break with the convention of the times: It established photography and, more specifically, color photography, in the artistic canon. This period was also marked by some of his best-known works, which to this day make him one of the most influential pioneers of New Color Photography. It was during this chapter in Meyerowitz’s career, at the very latest, that his different working methods and the decisive impact of photographic images taken with a small-format camera versus a plate camera on a heavy tripod became apparent. His work as a street photographer is as equally shaped by life on the streets as it is by early color photography. From the mid-1970s onward, he created precisely composed studies in light on Cape Cod on the East Coast. A master of color photography, he skillfully captured the subtleties of the early morning and the last light before nightfall, when lurid neon signs shine bright against the night sky. 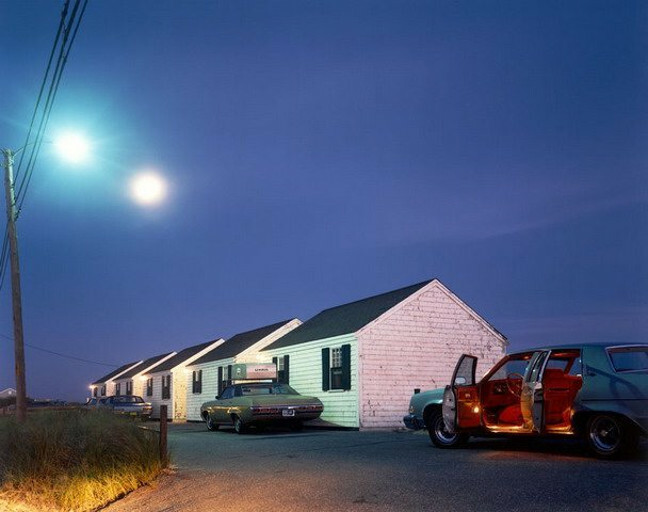 These unusual lighting conditions captured in the transition from day to night create an unmistakable tension and a new element that would define Meyerowitz’s style. 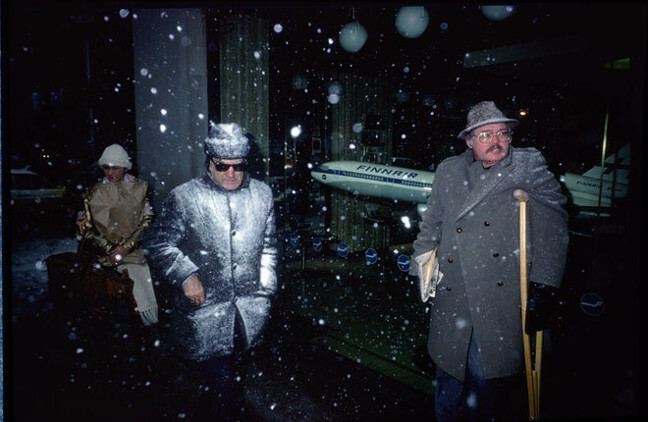 Even today, his pictures of 1960s and 1970s New York and his Cape Cod light studies beginning in 1976 are regarded as icons of contemporary photography. C/O Berlin is the first and only German institution to present the exhibition Joel Meyerowitz Why Color? Retrospective, which is primarily focused on the New York photographer‘s vintage color prints from the 1960s to the present day. It is the first show, which places those color photographs in relation to developments in Meyerowitz’s early black-and-white works. The exhibition will be accompanied by a new retrospective book Where I Find Myself published by Laurence King Publishing and Elephant Magazine.